Alright, so I’ve posted a few random things like Longest Words and Phobia’s, so here’s the third installment on a subject most people know but don’t know the name for. Cryptids are mythical rumored creatures, most fake, some other animals mistaken, and really rarely, real. Here’s a few lists. Some of the most famous ones, and my favorites. Again, most of us know this rumored sea creature that supposedly inhabits Loch Ness in the Scottish Highlands. A lot of people think the Loch Ness Monster is actually a surviving Plesiosaur, which were around in the Triassic Period. On May 2nd, 1933, someone reported seeing this monster. The original photograph of it is called The Surgeon’s Photograph, and is confirmed to be fake. People have reported seeing it a lot, and, one story which was on Wikipedia is, a man was looking at his hometown on Apple Maps, and saw ripples in the water in the Loch. This was just in April 2014, and this is the account of the monster I find most funny, cause it could be caused by a log, or a boat. This one is one of my personal favorites. 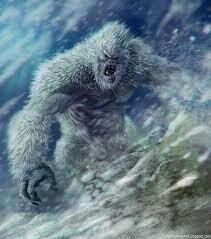 He supposedly inhabits the Himalayas, and is a huge hairy humanoid creature. People have supposedly seen this one while climbing. A few explanations are that it could be a bear, or a hermit. Edmund Hilary and Tenzing Norgay, the first climbers of Mount Everest, reported seeing him in 1953. 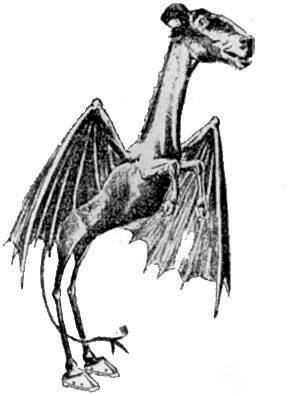 This one comes from New Jersey, and is like a devil kangaroo with wings and hooves, as I describe it. He supposedly emits a horrible blood-curdling scream, but people have never captured one alive. This seems like a hoax, but that’s just my opinion. 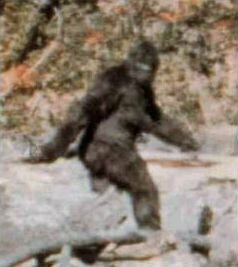 There’s also not as many sightings as Nessie or the Yeti, but it still is a popular Cryptid. And that wraps up part 1 of 2 of my Cryptids lists. I hope you liked this, I’ll put the links down there *points down* so you can read some more if that’s your thing.